Ahhhh, the winds of change are here ! Fall will bring us an wonderful river adventure this year !! Summer passes all too quickly ..do you agree? My photo, taken last fall in Brown Deer park..I call it "on Golden Pond"..click picture to enlarge.. Except for a few 90 degree days, summer wasn't unbearable. I'm sure the children preparing to go back to school are having a hard time saying good bye to the play days of summer.. Boo Hoo, I didn't get to go swimming one day during a summer day..don't remember why...but I feel like I lost something fun to do ! My summer was eventful however.. ! I became a Great Grandmother !. His name is Parker Lorenz Rohde..the middle name was given to him by his mom Megan after her grandfather that has passed away.. he would have loved this little guy..too ! We're in the midst of a Presidential battle..I pray everyone is giving this race a very hard look at the issues that face us as a nation..and vote ! Our freedoms are at stake. Summer brought some enjoyable times with my Honor Society at Victory International Fellowship church..in June we went to Rawleys Bay Resort in Door County for a retreat and a treat!. Our annual church picnic was held on June 19th...with great food and fun for all. especially enjoy watching the pastors get wet in the dunk tank..an added fun event this year, we had a mechanical bucking horse...some stayed on for a minute or two..ha ha.. In July, we gathered after Sunday service at Maxims Restaurant on Capitol Drive for food and fellowship. August...last week on the 19th we met at church for Pizza and a wonderful family movie called Come away home...Very enjoyable time ! August also had it's sad moments..3 of our church members went home to the Lord and I also had a cousin that passed away ...all within the same weekend..but...God is on the throne and we will meet again. I'm Looking forward to our fall trip! 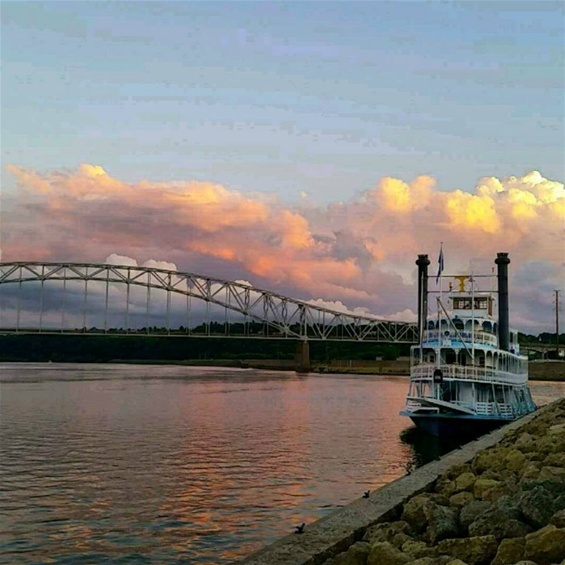 This year we will board an old fashion steampaddle wheel boat for a trip up the Mississippi River..we drive down to leClaire, Iowa. on a Monday, Sept. 26th stay overnight and the next morning we board and travel up river to Debuque, stay over night there and after some sight seeing in Debuque, we head back down the river...with lots of entertainment, good food and the captain narrating the history of the river.. Of course as we always do...there will be interesting stops on the drive down and back from leClaire, Iowa..we return on the 30th...I am looking forward to this adventure..
Fall will bring in a new President..and hopefully a calmer state of mind for our state, and country..peace in the world. Take each day and cherish it..